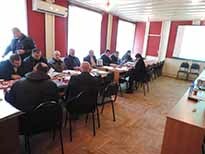 On November 30, 2015, Georgian Society of Nature Explorers “Orchis” arranged meetings in Lentekhi and Tsageri Municipalities with the participation of the representatives of Sakrebulo and Gamgeoba of the mentioned Municipalities, companies of limited liability and others. 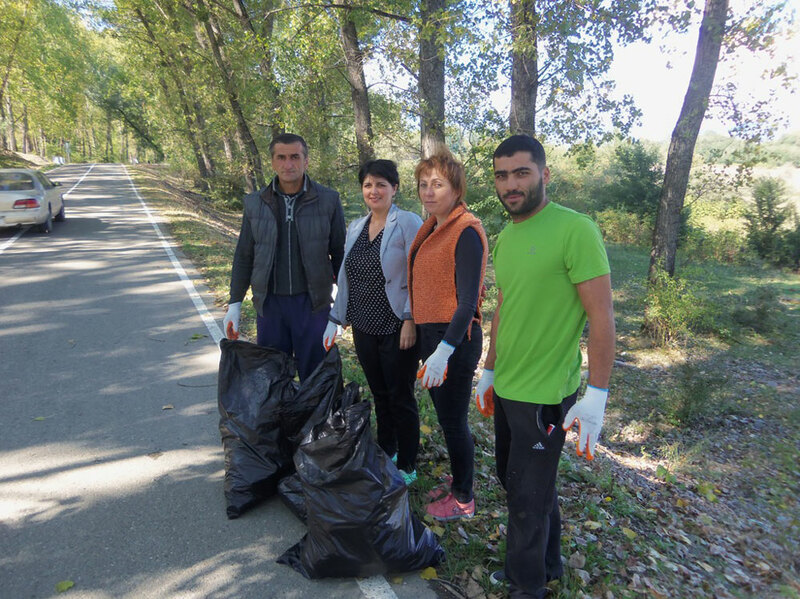 On September 19, in the framework of "Clean-up Georgia" campaign a clean up action has been conducted in Kareli municipality. During the action, adjacent area to Kareli railway station has been cleaned up. Totally, 15000 square metersarea has been cleaned up, 10 m3 of wastes were collected. Around 60-people participated in the event. 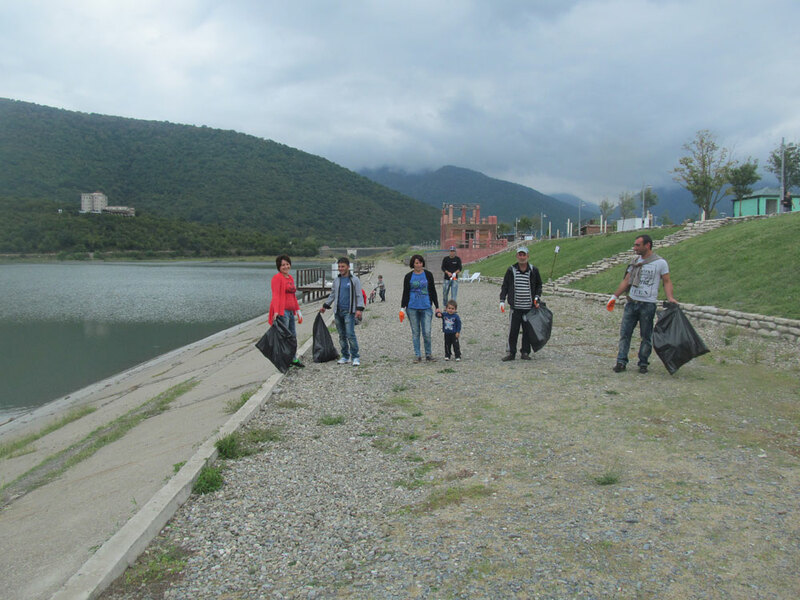 Within the framework of “Clean up Georgia” campaign the clean up actions were carried out on September 18-19 in Senaki municipality. These events wereorganized by Senakiregional coordinator of the Greens Movement of Georgia / Friends of the Earth – Georgia with support of local authorities. 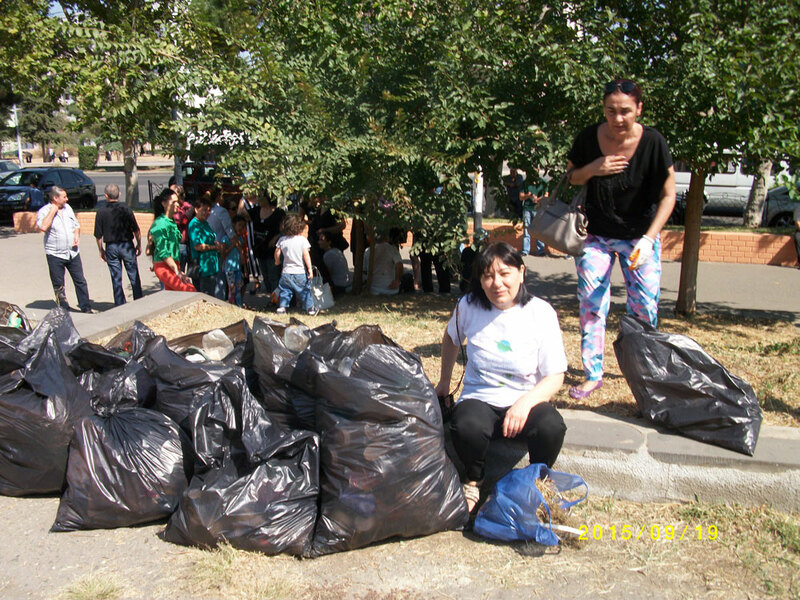 On September 19, within the framework of the “Clean up Georgia”campaign a large-scale clean up action has been carried out in town Rustavi, with participation of employees of State Representative (Governor’s)-administrationin KvemoKartli region, Rustavi City Hall,Rustavi municipalities,representatives of non=commercial organizations Rustavi Corps and Center for the Disabled. 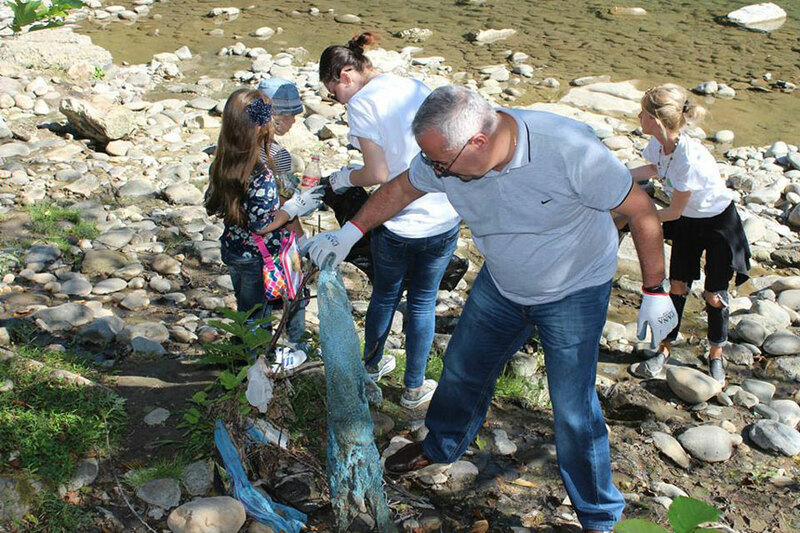 In the framework of "Clean-up Georgia" campaign a clean up action has been conducted in Martvili Municipality. 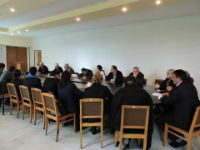 The event was organized by regional coordinator of the Greens Movement of Georgia / Friends of the Earth – Georgia and with support of local authorities. 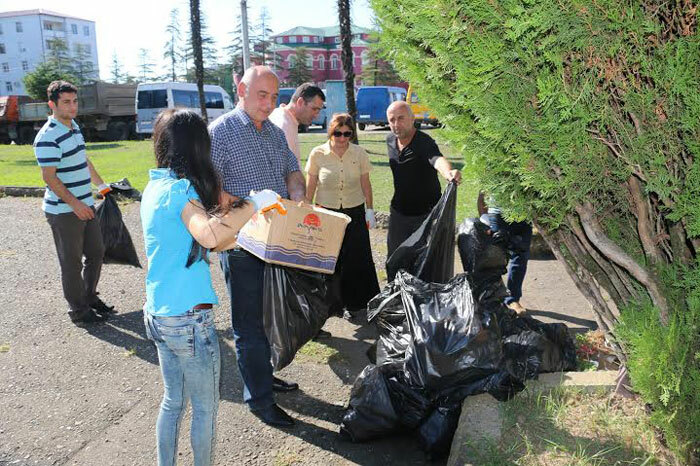 On September 18, a cleanup action has been carried out in Kaspi municipality. During the action nearby territories of Kaspi-Kavtiskhevi and Kaspi- Metekhi motorwayswere cleaned up. Approximately 30,000 square meters of area were clean up and 18 m3 of waste were collected. About 350 people participated in the action. 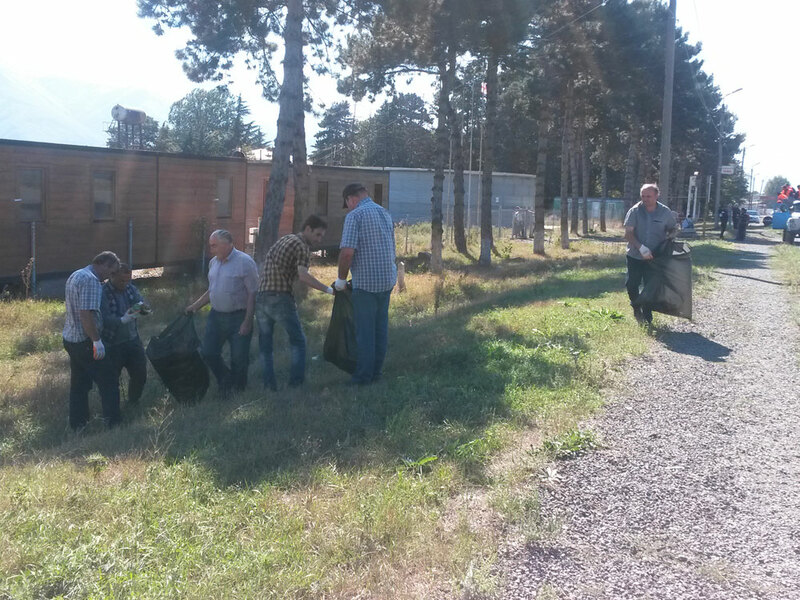 In the framework of the “ Clean up Georgia “ campaign, clean up action was carried out in Khobi municipality. The event wasorganized by thelocal coordinator of the Greens Movement of Georgia/ Friends of the Earth – Georgia. During the event stadium adjacent area, April 9 square and surrounding areas of the villages of municipality were cleaned up. Totally, 15ha area has been cleaned up, 5 m3 of waste were collected and disposed at the landfill. Around 700local residents took part in the campaign. 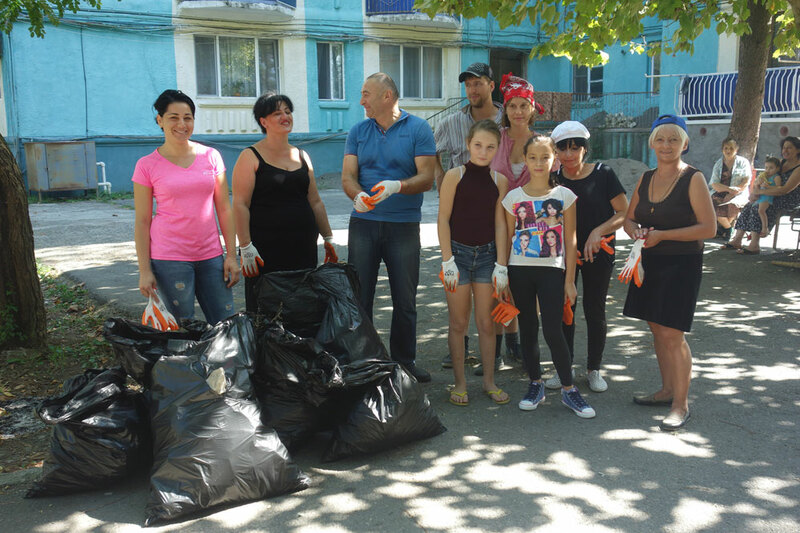 On September 18, In the framework of "Clean-up Georgia" campaign a clean up action has been conducted in town Tskaltubo. During the action, adjacent areas to Tskaltubo Municipality and Tskaltubo Council Premises as well as Central Park area has been cleaned up. Totally, 12.22 ha area were cleaned up, 13.7 m3 of waste were collected. Around 1070-people participated in the. Event. 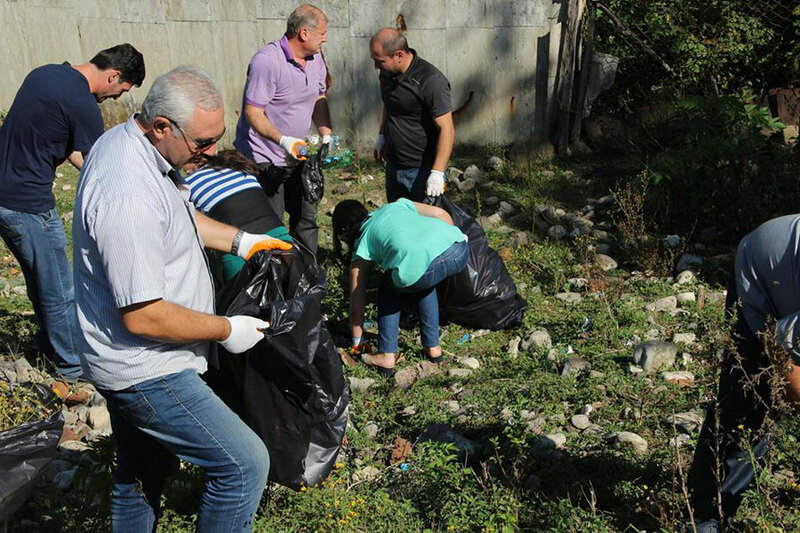 In the framework of "Clean-up Georgia" campaign a clean up action has been conducted in Khashuri Municipality. The event was organized by regional coordinator of the Greens Movement of Georgia / Friends of the Earth – Georgia and with support of local authorities. 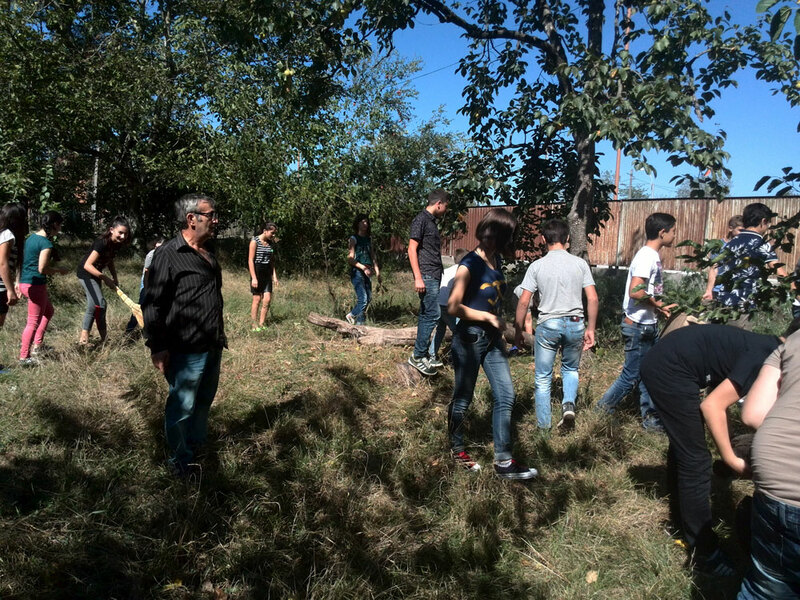 On September 20, within the framework of "Clean up the World - Clean-up Georgia" campaign was held an action in the frame of which Krtsanisigorge has been cleaned up. Along with the organizers, members of Tbilisi Council , volunteers, representatives of the local population took part in the event. In total 50 people. During the action, 0.25 ha area was cleaned up, about 3 m3 of waste was collected, which was taken by the relevant services to the landfill. On September 18, Clean up actions were carried out in Tianeti municipality. These events were organized by Tianeti regional coordinator of the Greens Movement of Georgia / Friends of the Earth – Georgia and with participation of members of local Municipality Board, City Council, representatives of non- profit entities, local residents, public school teachers and students have conducted a joint clean up action. 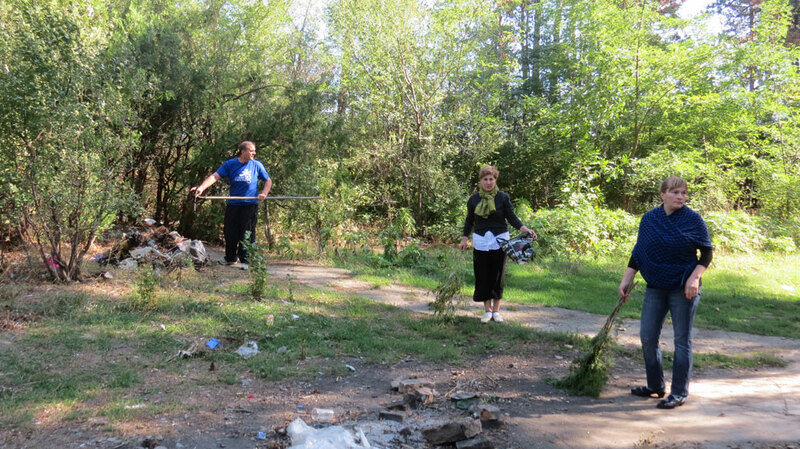 On September 18, Clean up action was carried out in town Poti. The event was organized by Poti local coordinator of the Greens Movement of Georgia / Friends of the Earth – Georgia and with participation of local authorities. During the action suspension parts of the streets and public parks were cleaned up. Totally, 1 ha area has been cleaned up and 1 m3 waste were collected, which has been disposed to the landfill by the relevant services. Around 50 local residents took part in the event. 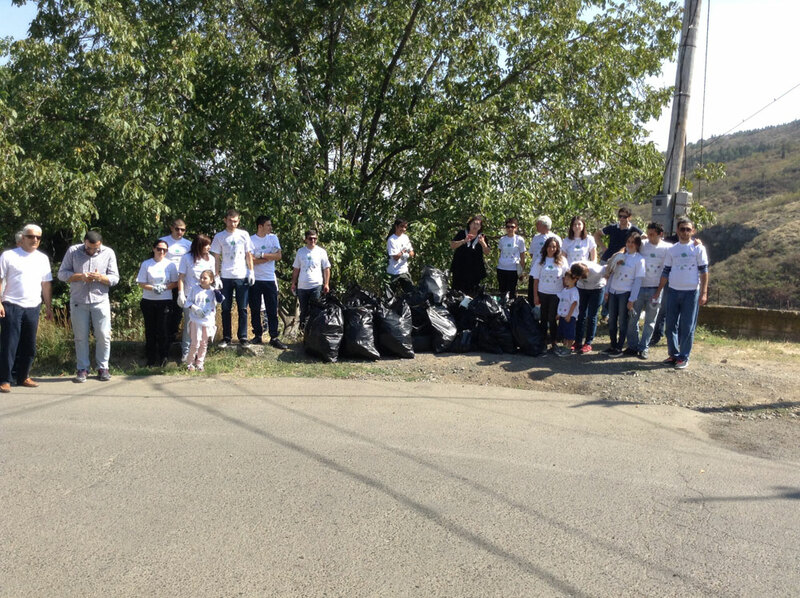 On September 18, Clean up action was carried out in Kvareli. The event was organized by Kvareli local coordinator of the Greens Movement of Georgia / Friends of the Earth – Georgia. During the action main streets of Kvareli and access road to Ilia Lake were cleaned up. Around 300 local residents took part in the event, which cleaned up around 10 000m2 area and collected 30 m3 of waste.